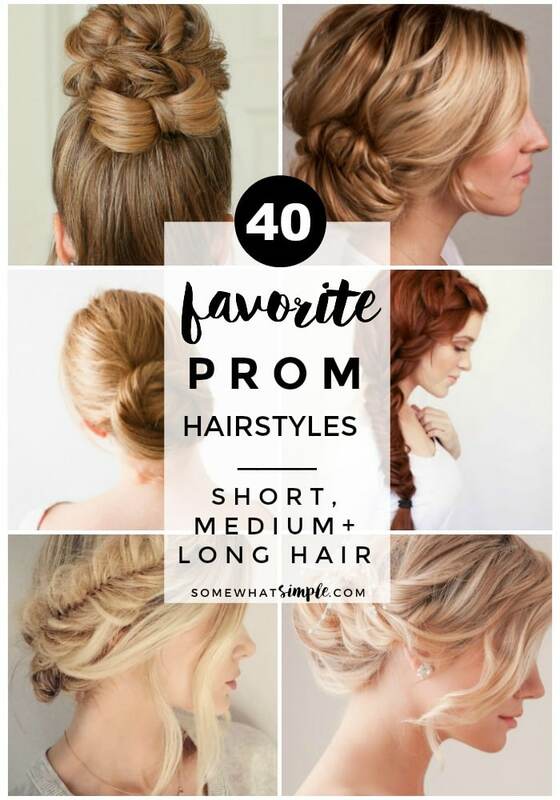 Here are 40 Prom Hairstyles and prom updos to help you plan your perfect night! 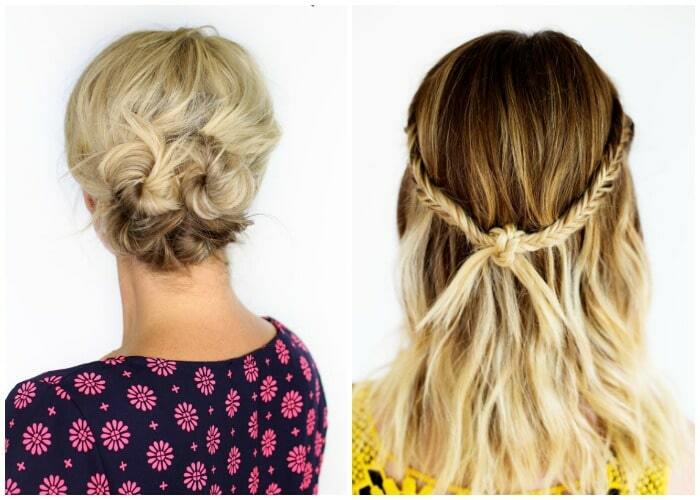 These hairstyles are perfect for that important formal event. Whether you’re going for a sweet, trendy, or classic look for Prom this year – we guarantee you’ll find a hairstyle to match! There are updos for varying lengths of hair and each one is more unique than the next. 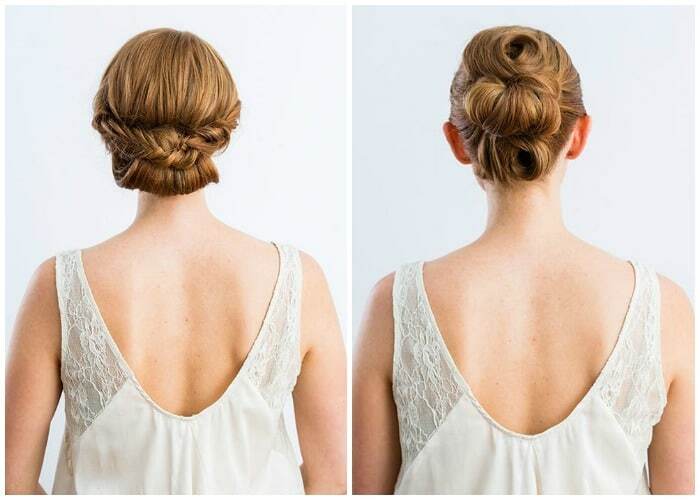 A soft updo for short hair that is easy to do and very elegant, from Twist Me Pretty. Quick and easy Bun for short hair, from Luxy Hair. She adds some extensions for fullness and I think it looks great!! 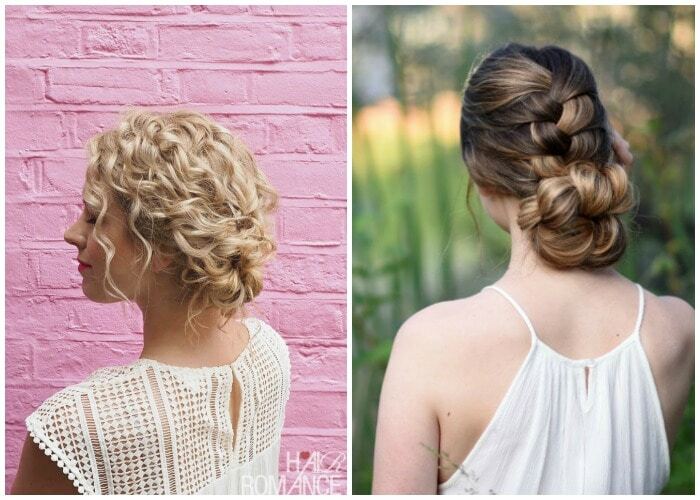 Knotted updo for short hair, from Twist Me Pretty. Another messy sophisticated look that is easy to do! Knot Braid, from A Beautiful Mess. I love the bohemian look of this braid, but you could dress it up to be as elegant as you’d like it to be! Quick Twist for Short Hair. Who says you can’t do an updo with short hair? Braiding Short Hair, from The Beauty Department. 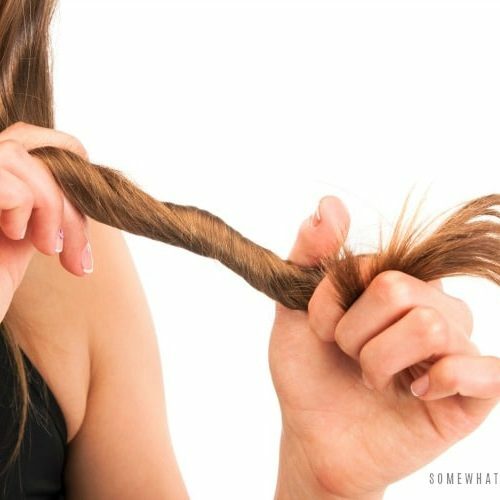 Great tips on braiding even the shortest of locks. Double Up, from The Beauty Department. 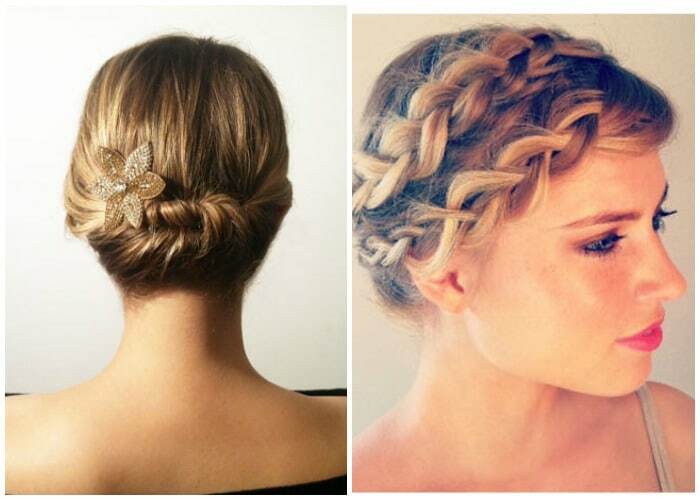 It is exactly what it looks like – 2 bobby pins working together for a sophisticated look that is simple and stylish! Half Up Twisted Bun, from the Beauty Department. The natural wave looks perfectly imperfect! Dutch Accent PonyTail. Create this look in only 3 minutes! Triple Knot Accents. These knot accents are super easy to create, using a simple knot technique that anyone can do. 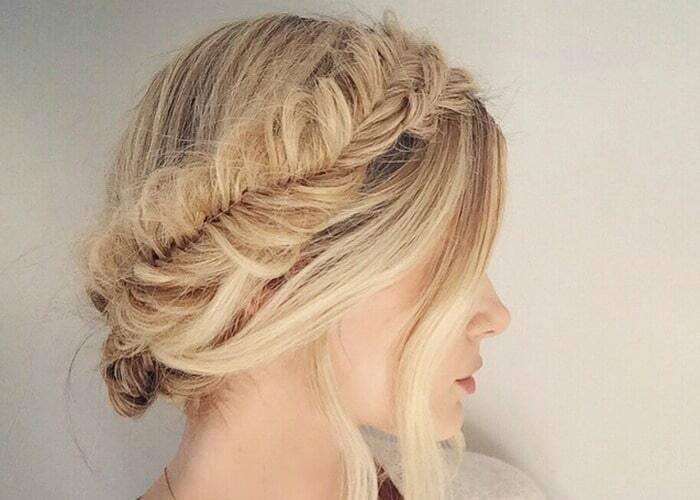 Fishtail Crown Braid, from Barefoot Blonde. 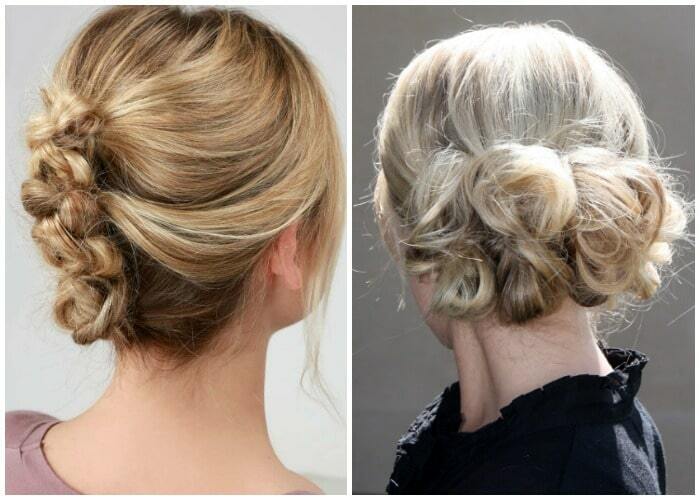 Easy, Messy, Beautiful Prom Updo, from 100 Layer Cake. Cotton Candy Bun. The effect of cotton candy is created by back combing the bun immensely and then gently smoothing it back down while wrapping it to create the bun. 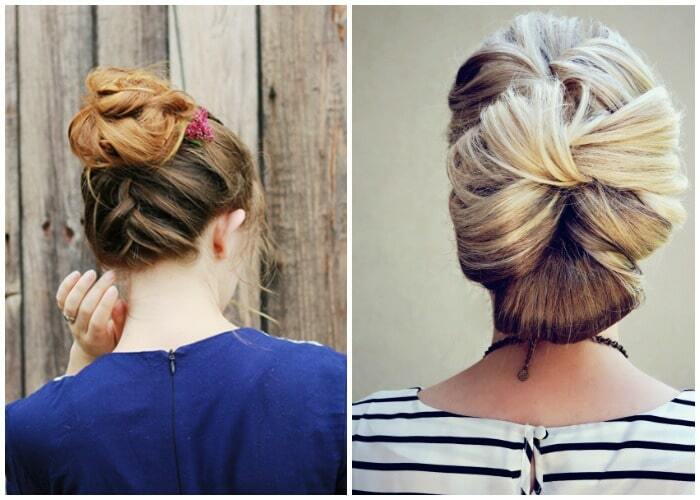 Twists to a Bun. 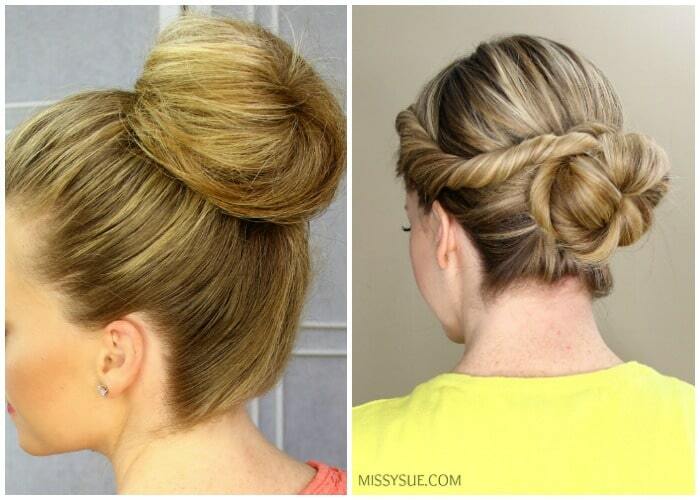 This cute updo features two twists on each side that wrap around a donut style bun. 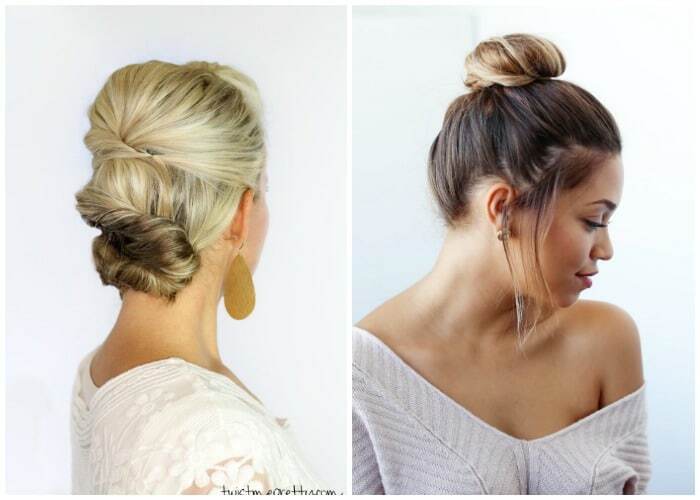 It’s a really quick and easy way to dress up your everyday bun and can be done in a snap! 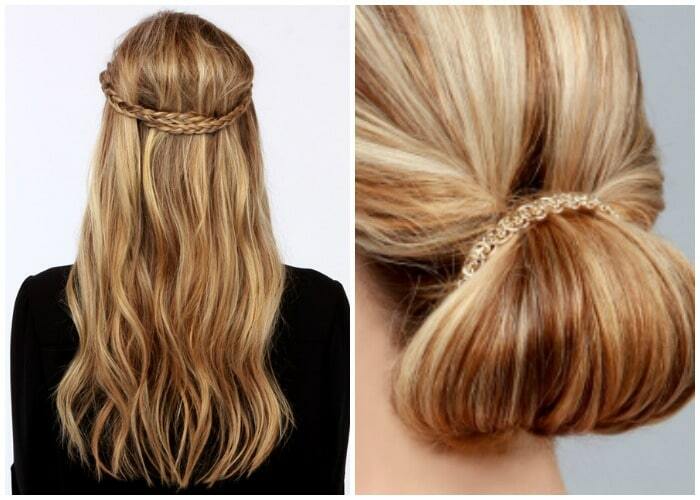 Sweetheart Twisted Updo, from Lulus. This darling up-do will put the finishing touch on your prom-ready look! Three Braided Buns, from Twist Me Pretty. Romantic Bun, from Hair Romance. 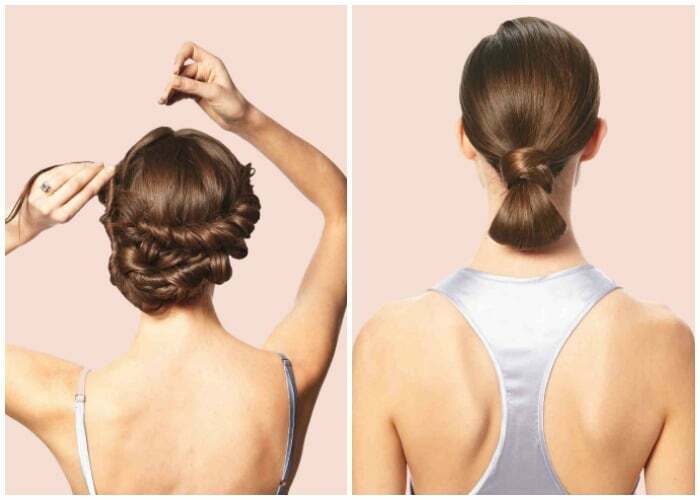 Try this chic and simple romantic bun for curly hair – it’s easier than you think! 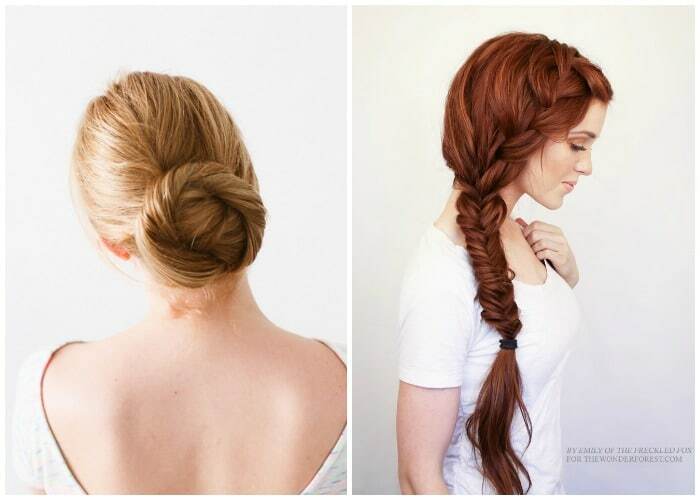 Knotted Braid Updo, from Cute Girls Hairstyles. Fishtail Gibson. A great look for the girl who wants to add a classic touch to her modern ‘do for prom. Pin Curl Chignon. This look is a way to have a creative, intricate design from behind, but a simple shape from the front. The Twisted Bun, from Once Wed. 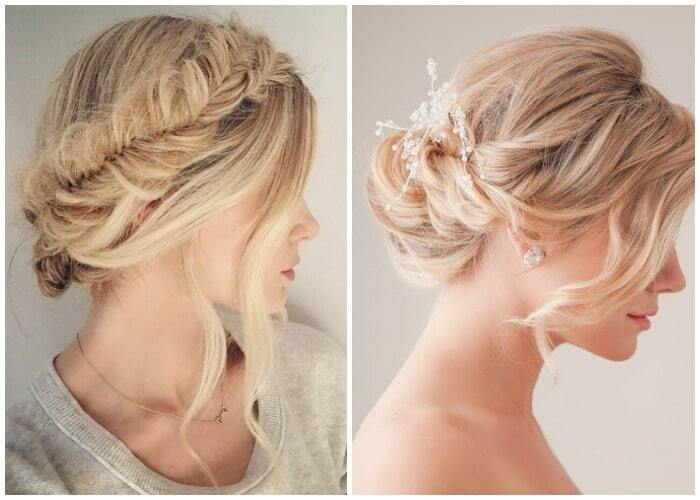 This elegant and sweet hairstyle would look absolutely darling on any prom princess! Bohemian Side Braid, from The Wonder Forest. 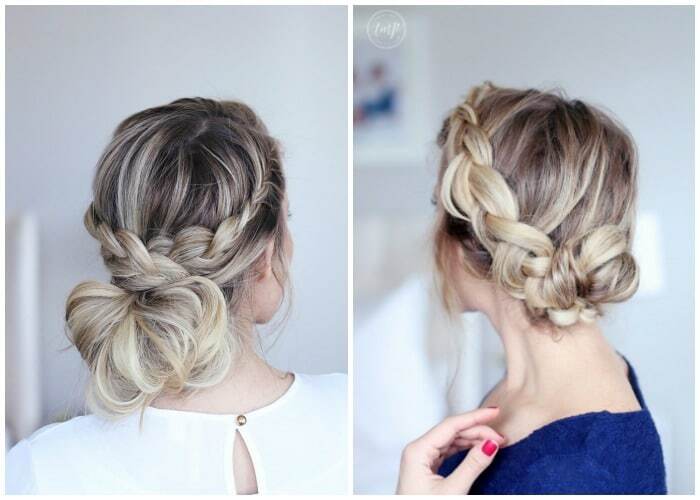 One of those amazing styles that looks way more complicated than it actually is! Celtic Heart Updo, from Twist Me Pretty. 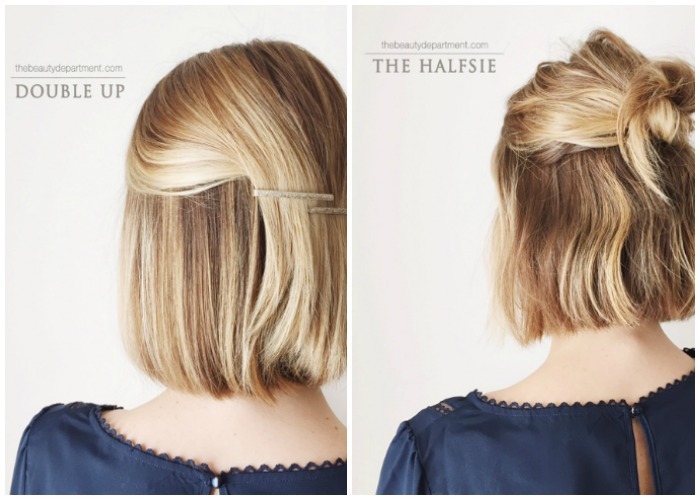 An easy version of a classic hairstyle! Loose Braided Updo, from Green Wedding Shoes. 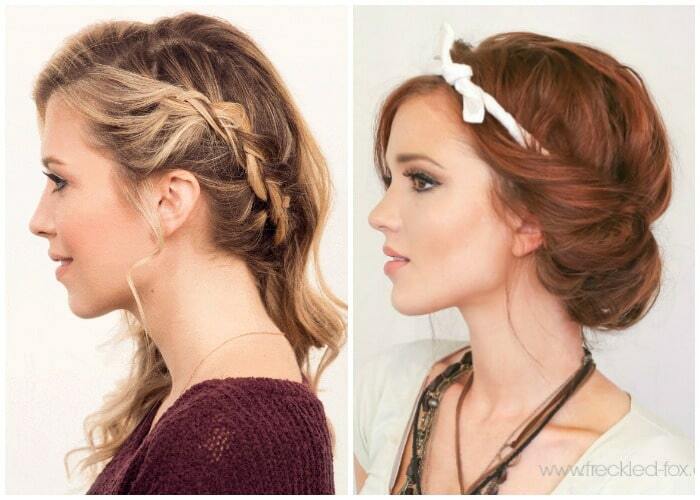 This combo of loose curls + french braids is the perfect bohemian look! Upside Down French Braid Bun, from The Merry Thought. 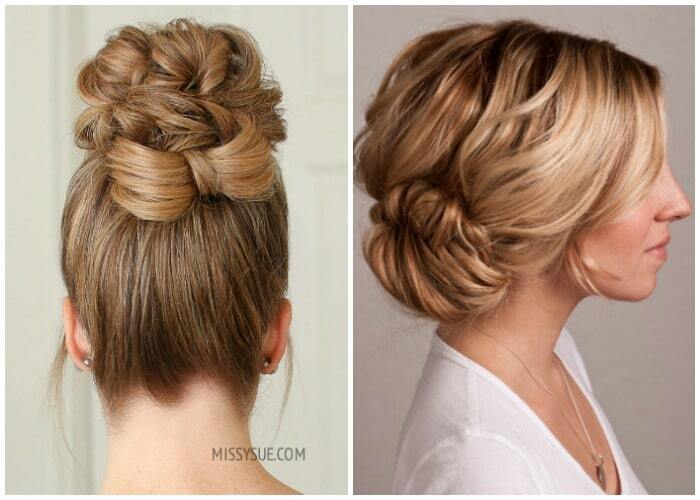 Elegant Updo, from Twist Me Pretty. Bold Bubble Ponytail, from Luxyhair. Youthful and playful feel, yet still carries some elegance and sophistication. 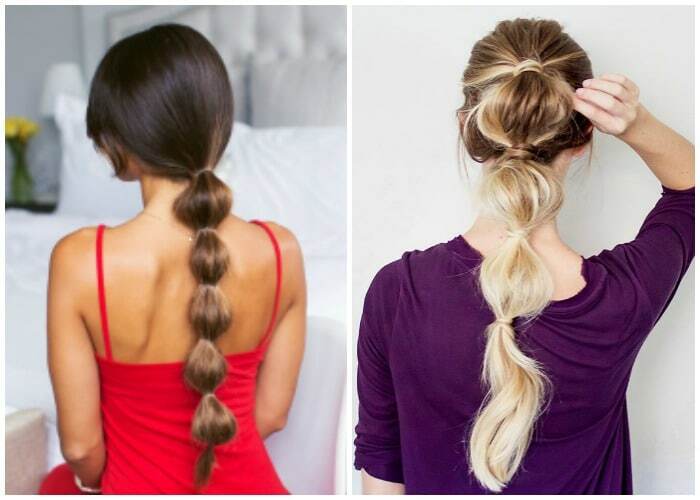 Easy Bubble Ponytail, from Luxyhair. Simple, yet stylish! Bohemian Twist, from Martha. Its twists and curls may look pro-level complicated, but this intricate updo is surprisingly simple to create. Sleek Tuck, from Martha. Smooth and sophisticated, this easy-to-master hairstyle is just right for a warm-weather night. We are all about seeing things EASY around here! 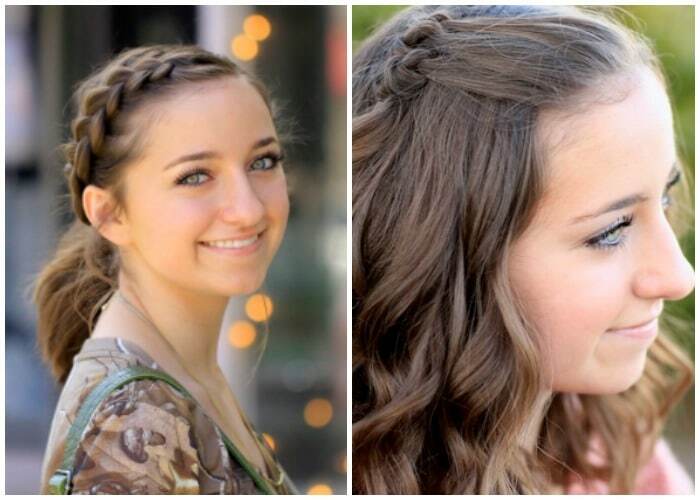 These simple prom hairstyles achieve perfection with minimal effort! Side Wrap Braid, from Makeup. This side wrap braid combines two of our favorite hair features in one — a Dutch braid and PLENTY of volume. Simple Headscarf Roll, from Freckled Fox. High Bun Bow Accent, from Missy Sue. This is such a unique way to take your messy bun to the next level and it’s kind of hidden too until you take a closer look. I love that, a kind of peek-a-boo bow. Fishtail Bun from Teen Vogue on Twist Me Pretty. Low Chic Rolled Bun, from LuLu’s. The Half and Half, from Martha. Woven Faux Hawk, from Cute Girls Hairstyles. 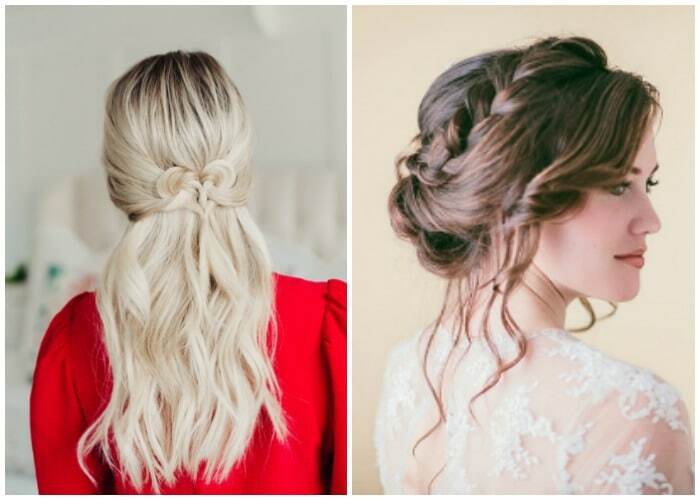 Which of these updo hairstyles for prom did you like the most? 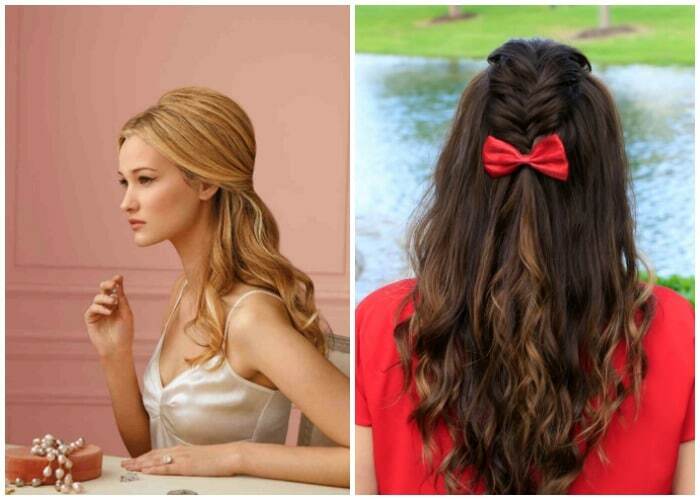 Leave us a comment and let us know which prom hairstyle you chose! I love the bob with the halfsie hairstyle. I am in two minds whether to get extensions for my wedding or just embrace my lob. I just don’t feel as elegant with short hair, but when i see up dos like that It makes me feel like i can rock my natural hair. You definitely can, go for it!